So many options! So many SOLUTIONS! Over the years our company has evolved into one of Western Canada's best distributors of specialty access hardware. Almost 40 years later, Steeves Agencies is still striving to be your first choice for specialty access hardware. We recognize that the components we supply create an important first impression for your customers. That's why it's important to get it right the first time. We're more than just a supplier of hardware, we're also your "hardware consultants", your experts-on-call! We're here to make your design efforts go smoothly! Steeves Agencies is family-run, and proud to be 100% Canadian owned. Over the years our company has evolved into one of Western Canada's largest distributor of specialty access hardware. And though our product offering has changed a little since the 1980's, our approach is still the same: we want delighted customers! We may have some high quality parts and great product lines, but we still offer some of the best customer service you will ever find. We will take the time to find the right solution for you, but most importantly, we will make sure you are satisfied. We only win if you win. We can do things your way. Whether it's a customized component, special labeling or just scheduled deliveries. We can do that! Let us know your specific requirements and we'll take care of the rest. Where Are All The Product Details? One of the first things you’ll notice on our website is that there’s not a lot of drawings, schematics, or “product specifications”. There also aren’t any prices listed. While this “lack of detail” may seem frustrating at first, we hope you’ll understand that the purpose of our website is not to replace the human element of our business, but to add to it. We’re all about working with you to make sure you have the right part for the job, and sometimes that means asking more questions and getting to know you a little bit. We’ll make every effort to ensure that you’ve got the right part, that it fits your budget and that it performs the way you expect it to perform. With that in mind, we encourage you to use our Contact Form to ask us your questions or to have us call you back. And then there’s the waiting. You might be thinking that your messages are just being dumped into a queue, to be answered whenever we have time. Not so! Our goal is to answer each and every customer Contact Form personally, the same day in which it was received. Give us a try! Use the handy Contact Form to let know what you’re looking for, and we’ll be more than happy to help you find it! We’re here to help. 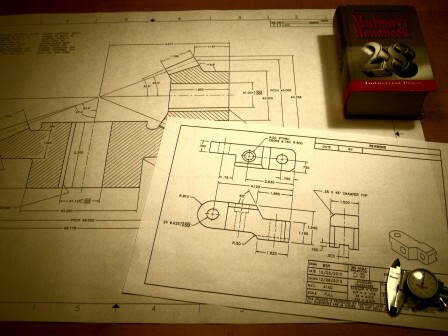 Still need those schematics? We’ll email them! Thanks for looking! Have a great day! Eligible employers may apply for up to $10,000 for each individual worker to assist with training costs. Employers that receive funding under the Canada-Manitoba Job Grant must contribute a minimum of one-third of the eligible training costs. With the maximum government contribution of $10,000, this means that up to $15,000 is available, per person, for eligible training costs. High Capacity Slides from Chambrelan! Introducing the E1020 Series of heavy-duty slides from Chamberlan! With load capacities up to 950kg (2094 lbs) and available in lengths up to 2000mm (78.74″) the E1020 series can handle just about anything. Chambrelan offers a range of slides for nearly any application. Whether it’s a light-duty drawer or a high-capacity tool shelf, there’s a Chambrelan slide for you. 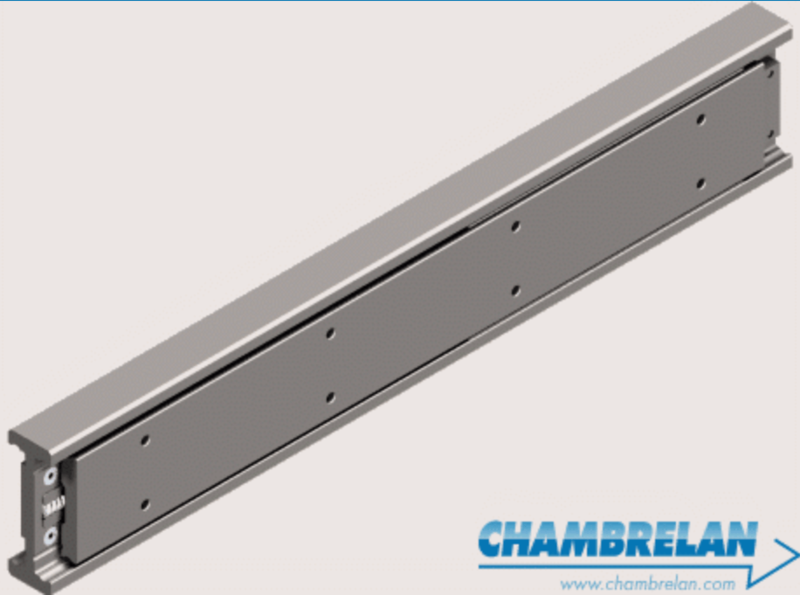 We’re proud to offer Chamberlan slides as part of our broad range of hardware solutions. Use our Contact Form to reach us or call us today at 1-800-318-1119 for more information! Southco: Creating First Impressions That Last! Many of Southco’s products are “touch points”. Touch points are the parts of a product that the end user interacts with most: the handle on your car door, the doorknob on your house, or the keyboard on your computer. Often, touch points create that first impression about the overall quality your entire product, and Southco’s goal is to make that first impression (and every subsequent interaction) a great one. Want to know more about Southco and how we can help make a great first impression for your customers? Reach out to us today for more information, or to start a conversation about what your ideal first impression would be! Dzus quarter-turn fasteners have been around for a long time, but they remain one of the most dependable, robust methods of securely fastening a panel to a frame with minimal effort. They’re easy to install and require NO special tools or adjustments. Southco has expanded its Positioning Technology portfolio with the addition of a new Counterbalance Hinge that neutralizes the weight of heavy panels and lids, providing reliable positioning control for a variety of applications. The CB Counterbalance Hinge provides precise control when opening and closing heavy panels, reducing safety and liability concerns while improving end user ergonomics. The CB Counterbalance Hinge neutralizes the downward force of gravity and provides precise control when opening and closing heavy panels, enabling the panel to be lifted and lowered effortlessly. With its compact, adjustable design the CB Counterbalance Hinge can be mounted inside enclosures with minimal protrusion and can fine-tuned to the precise requirements of the application, making it an ideal solution for controlling a variety of panel weights when compared to power or hydraulic solutions. Southco’s CB Counterbalance Hinge offers reliable position control for heavy panels and lids while providing ergonomic benefits and safe operation for end users. The CB Counterbalance Hinge provides high vibration resistance, making it an ideal solution for a variety of mobile and stationary storage applications, such as medical and industrial equipment. Constructed of corrosion resistant materials, the CB Counterbalance Hinge offers reliable performance in both hot and cold environments. Designed to provide a lifetime of maintenance free, reliable operation, the CB Counterbalance Hinge is useful in reducing warranty and installation costs. To learn more about Southco’s line of position control solutions, visit our Counterbalance Solutions Resource Center page. The post Counterbalance Hinge Allows Safe Positioning of Heavy Panels appeared first on Southco Blog. Southco has added to its broad range of cam latches with the introduction of the miniature E5 Cam Latch. Featuring a 30% reduction in intrusion compared to Southco’s standard E5 Cam Latch series, the miniature E5 Cam Latch provides a significantly smaller footprint for limited space applications. Southco’s miniature E5Cam Latch provides a simple and affordable solution for applications demanding minimal enclosure intrusion. Available in multiple grip sizes, the miniature E5 is ideal for applications with light duty doors, or where the inside of the enclosure has limited space and only permits minimal latch intrusion. Southco’s E5 line of cam latches can be accessed with a quarter turn, while latch open status can be quickly confirmed by the product’s latched/unlatched status indicator. The miniature E5 Cam Latch also offers universal operation, making it suitable for both right-hand and left-hand hinged doors. The miniature E5 Cam Latch is a simple and affordable solution for limited space applications. Reduced packaging and varying options for grip and actuation make the miniature E5 suitable for a wide range of industry applications. To learn more about Southco’s line of cam latches, visit our Cam Latches product page. Nestled in the bustling city of Minneapolis lies a fast-growing startup. But it isn’t the Silicon Valley kind. Instead, this startup is advancing the booming market for camper rentals. To read more about how Accuride slides are used in camper vans like these, check out Accuride’s Blog page with all kinds of great information on applications and ideas on where Accuride slides can make life easier! I found this article online at www.phys.org and thought it was worth posting here too! Southco has further expanded its successful line of rotary latching solutions with the launch of two new heavy-duty, paddle-style actuators that provide multiple points of actuation, allowing two connected rotary latches to be activated remotely by one actuator. Southco’s AC-20 and R3-22 Actuators are constructed from corrosion resistant materials, making them well-suited for exterior applications that require robust performance. Available in polished chrome or black powder-coat finishes, these actuators feature a rugged, contoured paddle design for enhanced grip, key locking security and secure push-to-close functionality. AC-20 and R3-22 Actuators are an ideal solution for doors and panels that require remote actuation of several connected rotary latches. When opening a large access panel on a piece of Off-Highway equipment for instance, the end user can easily release both latches at the same time by activating one actuator, facilitating operator entry. With their high-strength, corrosion resistant paddle-style design, Southco’s AC-20 and R3-22 Actuators provide remote release of multiple connected rotary latches for simplified access in challenging environments. When combined with Southco R4 Rotary Latches and AC Cables, these Actuators create a complete Rotary Latching System, providing secure, reliable, remote latching for interior and exterior applications. 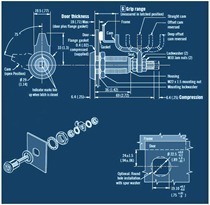 To learn more about our Rotary Latching Solutions, download Southco’s R4 Rotary Latching Guide. This article was originally posted on Thursday, July 7, 2016 by Rachel Pilgren-Kane. Whether consciously or sub-consciously, touch points form the foundation for customers to perceive and make decisions regarding the products they choose. Touch points drive the quality of customer experiences, and serve as the basis for the resulting relationship. This is why it is so important to understand the impact that touch points can have on Automotive design. A touch point is defined as all of the communication, human and physical interactions your customers experience during their relationship with your products and organization. Touch points can take many forms – from the sound a car door makes when it shuts to the operating effort needed to access the center console. Touch points form the basis of customers’ perceptions of a business, its brand and level of quality. Fortunately, Automotive OEMs have the opportunity to shape their experience. By understanding and utilizing Automotive touch points, Automotive manufacturers can directly influence the experience of your customers. Enhanced customer experiences lead to better results for both customer and company, delivering greater brand advocacy, customer loyalty and ultimately, improved sales. Within the Automotive industry, differentiation is key to building, creating and maintaining a unique selling proposition and the smallest component can often have the biggest impact on the overall design. Knowing where and how the consumer interacts with a product is vital; it may not be the ultimate decision making factor, but if the touch point quality does not meet expectations it will be a contributing factor in the consumer buying process. A company’s brand image is key—it creates expectations. It defines who they are, how they operate, and what makes them different from their competitors. For Automotive manufacturers, brand is reliant on a number of trustworthy and reliable suppliers that can be depended on from concept development through to production. At Southco we understand how our products are our customers’ touch points, and we invest heavily in creating proven solutions that provide a quality experience for the end user. Our versatile design and global engineering capabilities support allow us to deliver consistent quality and an enhanced end user experience through touch points that meet your business objectives. Southco’s relationship with the Automotive industry spans decades of experience and innovation. We manufacture highly engineered access hardware components for a variety of interior and exterior vehicle applications, including glove box, center console and load floor latches, positioning hinges for headrests and armrests, as well as special fasteners for noise shielding and other engine applications, all creating a quality and comfort feel that ensures the ultimate touch point experience. To learn more about how our touch points can differentiate your Automotive design, download our Automotive Solutions eBook.